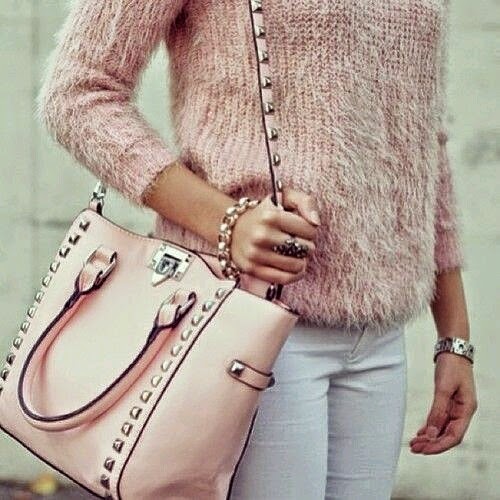 HOW WILL YOU WEAR YOUR PASTELS? I have been thinking about what to buy to update the wardrobe for the spring/summer. I buy magazines all the time, I shouldn’t really, all they make me do is want to spend! Anyway, if like me you have been browsing the mag’s out there, you will have noticed that the pastel shades are going to be even more popular than their brief appearance last year. So this is where I’m at now, I really like these pastel shades, the only problem is that at fifty are they safe to wear? Get it wrong, and I think I could end up looking like Dorothy from the Wizard Of Oz or Alice in Wonderland!. This is just what I’m looking for. I bet a white shirt under this will look good, and grown up with pastel pink trousers the look I’m after is complete. It’s from Asos for new look £12.99 Bargain! This cardigan from M&S £18.00 will go great with this skirt….. This blue pastel bag is just the right shade and a little more grown up. From M&S £29.50?